WebQuest: COMPUTER PARTS - PUTTING THE PUZZLE TOGETHER!!! COMPUTER PARTS - PUTTING THE PUZZLE TOGETHER!!! Welcome: COMPUTER PARTS - PUTTING THE PUZZLE TOGETHER!!! Description: Students will create their own dictionary-type booklet explaining the parts of the computer. They will investigate the different parts of a computer and report on the part's function, importance, and price. Each member of the team will be assigned a computer part. They will give their booklet a title page. 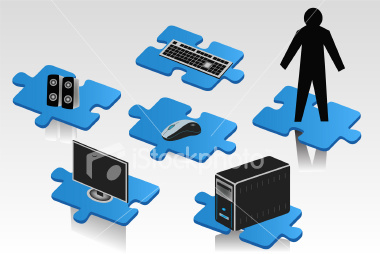 They will also create a puzzle to share with the class that will consist of computer parts.